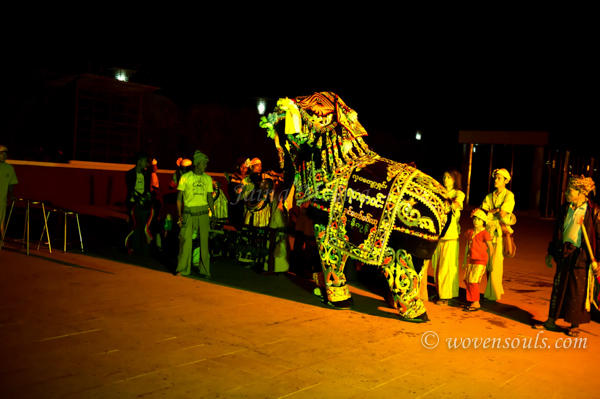 An auspicious ritual followed by the Chinese settled all over the world, is to perform the traditional Lion Dance. 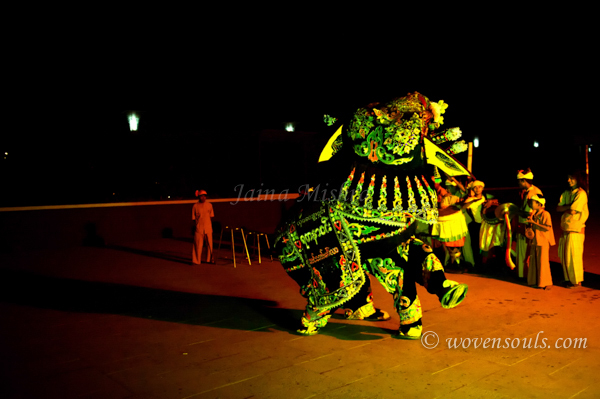 Danced to the rhythm of large drums, this dance is performed by the coordinated movements of two dancers wearing a common Lion Costume, with one dancer assuming the front-legs position in the costume and the other, the back legs. 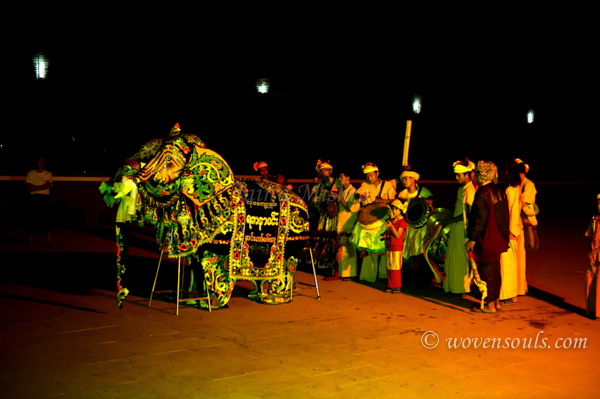 They not only cover a large area during the dance but also perform difficult feats that require precise coordination. This is especially hard since their faces are completely covered up and vision is limited. 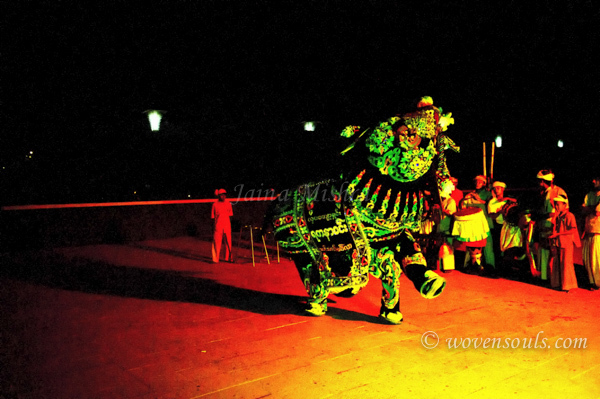 [link to an earlier note on the Lion Dance]. At an event in Myanmar for a function attended also by the Minister for Tourism, a grand reception was held for the guests. 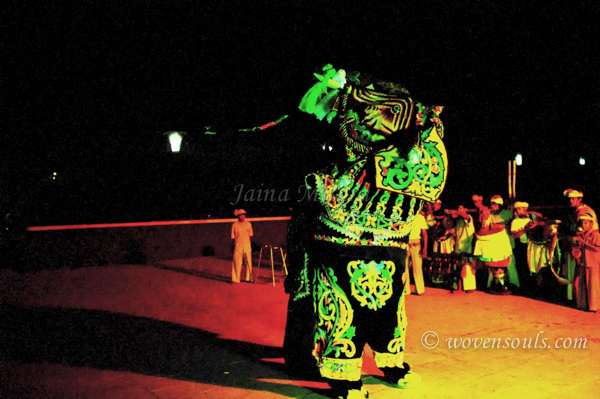 Naturally, this began with the welcoming drums and the lion dance. Except – that the lion turned out to be an ELEPHANT!! It took me awhile to observe this in the dark … and then to get over this very endearing cultural variation. 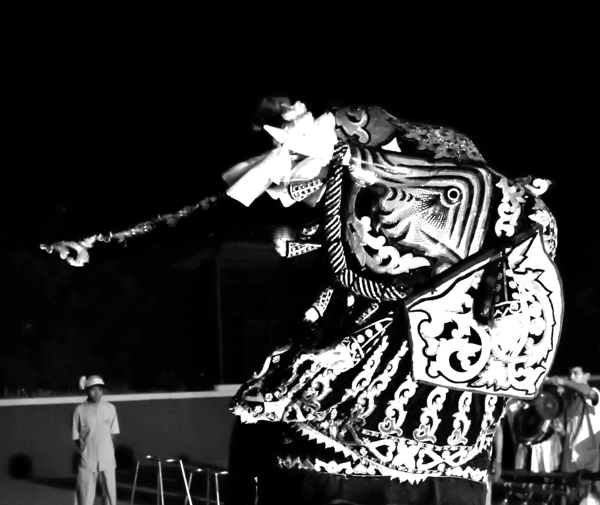 The dance remained the same, the format, the drums, the two masked-coordinated dancers and the symbolism all remained the same. BUT the head mask was one of an elephant! Not so surprising since elephants are not only common in this country but also very dear to the people. It is interesting to see how a particular tradition changes and goes through minor modifications as it traverses geography. 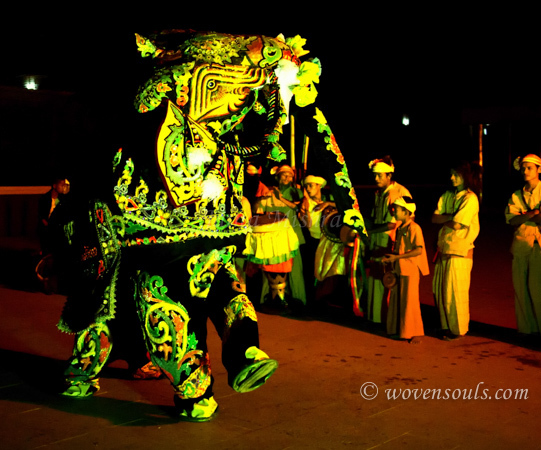 This entry was posted on February 5, 2015 by wovensouls in Culture Kaleidoscope and tagged elephant dance, Lion dance, Myanmar lion dance, Myanmar ritual, Myanmar tradition.